Farming Organically For Twenty Years! 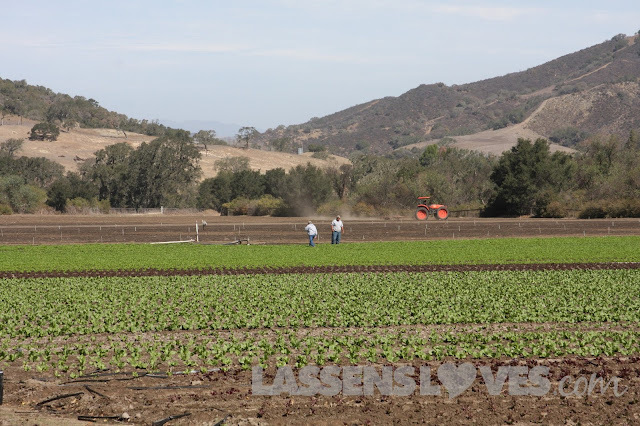 John has had his hands in the soil for decades, and has found an ideal home in the Buellton/Solvang area. Only five miles from the ocean, Nojoqui (Nuh-hoo’-wee, meaning “Peaceful Valley” to the Native American Chumash in the area) Farm has a wonderful, nearly year-round growing season. I had a great time visiting John at the farm recently, and enjoyed seeing the lettuces happily growing. I met several of his team, and John was quick to give credit to them for the success of the farm. 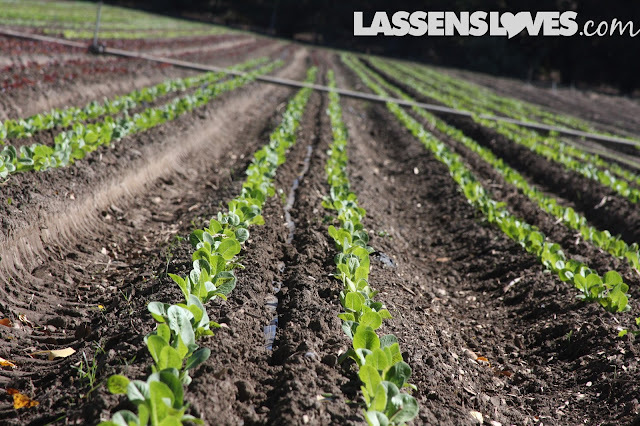 Conserving water with drip irrigation, even on small plants like Romaine Lettuce! Squashes were being packed, and as we strolled around the acreage, John showed me the compost heaps, the drip irrigation, and of course the tidy rows of plants. The farm had previously been a horse pasture, so the soil was idea for farming. John and Letha were determined to farm in harmony with nature. They were Organically Certified in 1991. They set out to “produce an abundance of organically grown produce by conscientiously practicing sustainable agriculture” (from their Mission Statement, found here.) 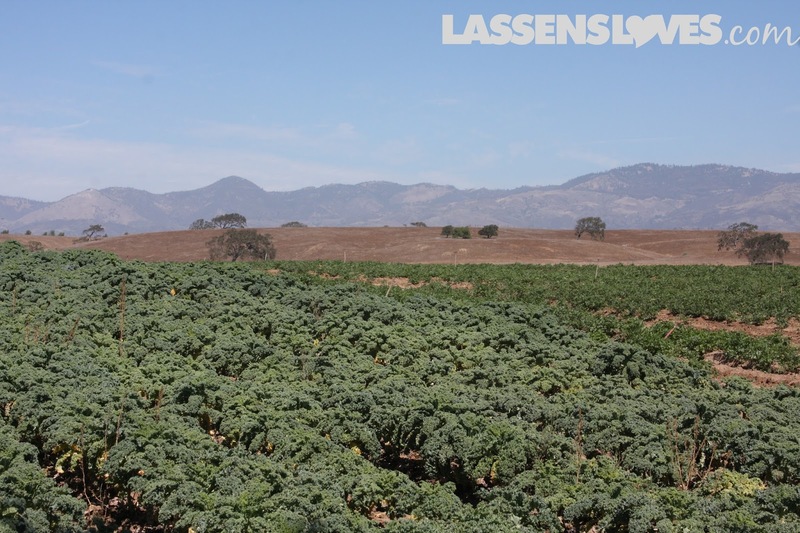 They are committed to farm in a manner that was respectful of the land, the workers, and the broader community. 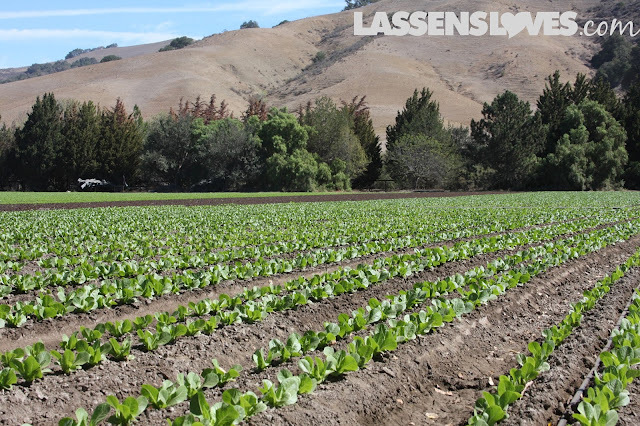 Now farming on more than 53 acres, Nojoqui produces a variety of lettuces, squashes, tomatoes, peppers, and much more. 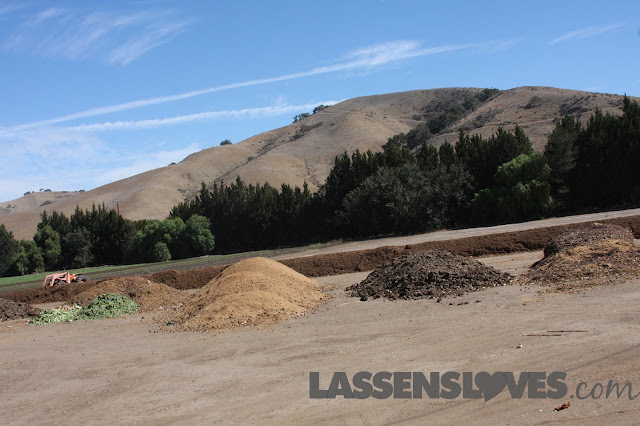 They are proud of their extensive composting program, which keeps organic matter out of the landfills and keeps the soil healthy and nutrient-rich. 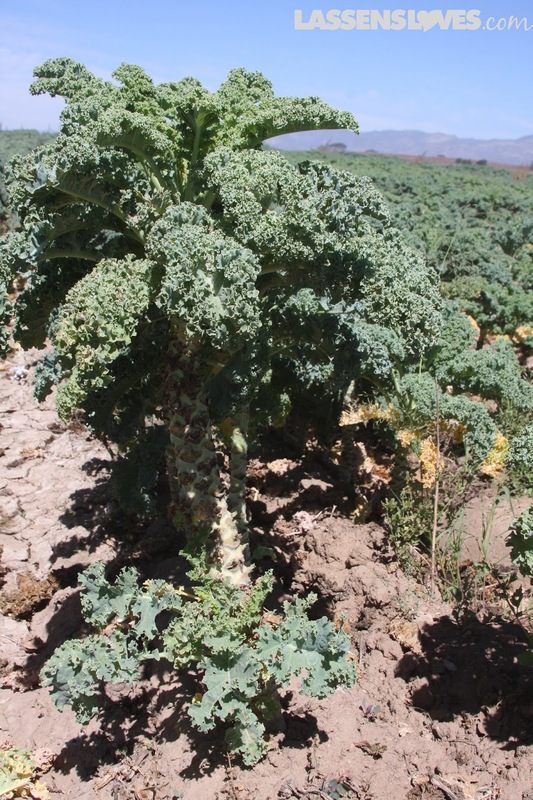 John said that if the farmer builds up the soil then the soil will produce a beautiful crop. Kale grows like little palm trees — as the leaves are harvested, the plant remains and continues to grow more leaves up top! Lassen’s supports our local organic farmers! If you want to read more about how important Organic is to our own health, as well as that of our planet, please click here and here. Yeah. 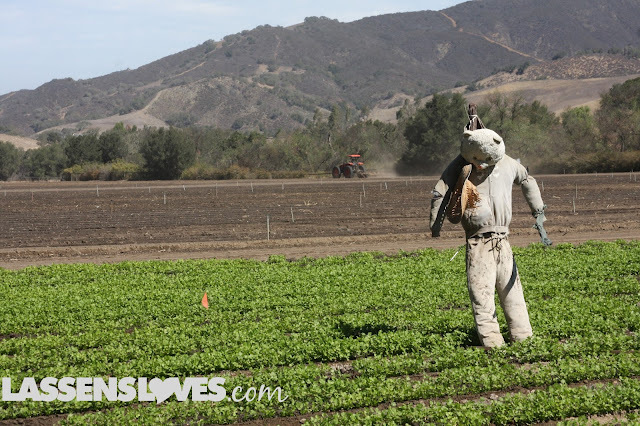 That’s a Care Bear head on the scarecrow. That would scare me!